Today we enjoyed the last day of Vancouver Fan Expo. 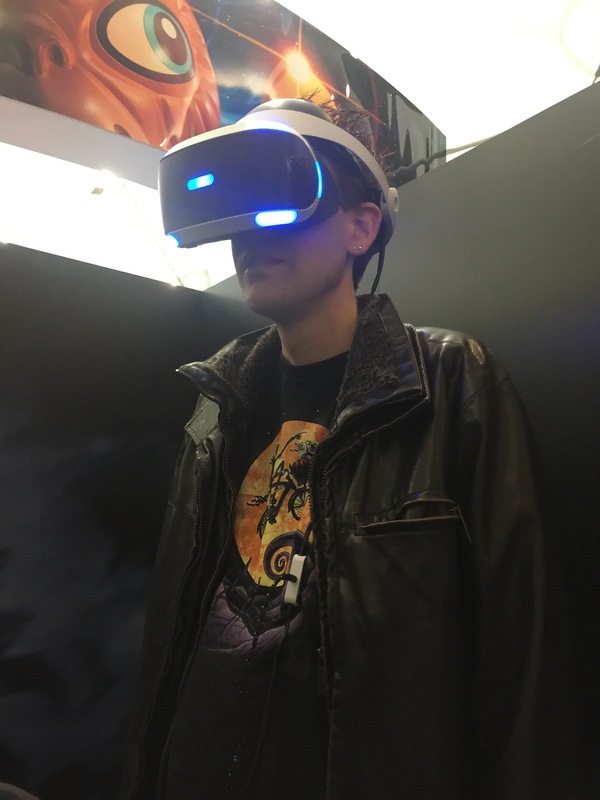 My son and I took advantage of trying out the PlayStation VR. 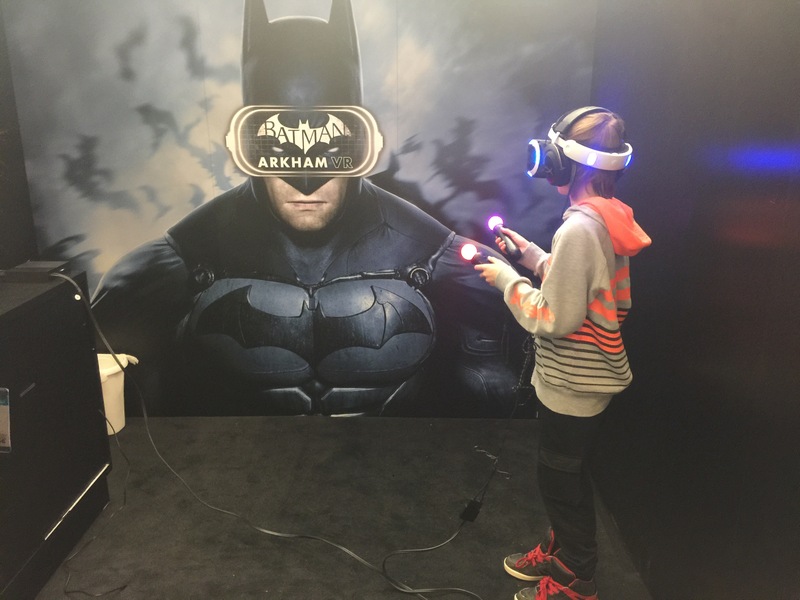 We played a brief demo of Batman:Arham VR. After my son finished playing, I took a go at it. The graphics were phenomenal. I was surprised at the seamless way it played. My movements were mimicked perfectly. At one point during the demo, I felt like I was in the Bat Cave. The sights and sounds were 360° all around me. With the Bat Suit on, a mirror showed up in front of my vision. I am wowed beyond belief at the way technology has advanced. Even in the short time from our first VR testing back in the spring- read about it here: Button Mashing (March 2016). Especially with the constantly changing gaming industry, stepping out of bounds is a high risk for any of the companies. Sony nailed it. I walked away after knowing that for about ten minutes, I was truly transported somewhere else and I was someone else. I was the hero that Gotham deserved. Now back to my life. I’m just a regular Joe.